QUETZA'S NOTES: Eheh, yep, that's about all Bruce had planned. Sorry if you people were expecting him to ride in with a gang of LARPers, raiding the place. 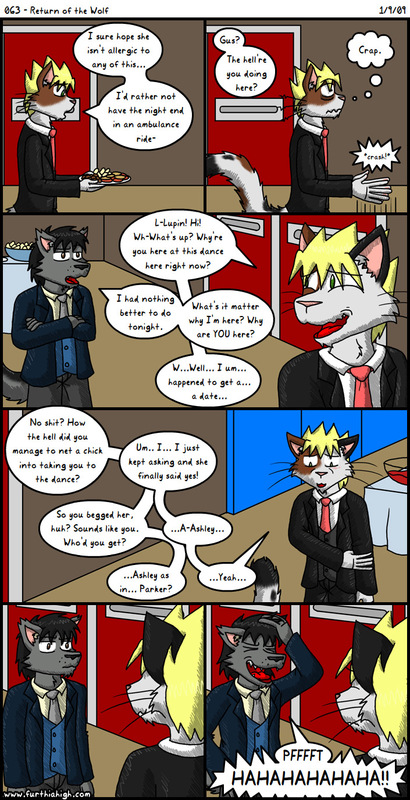 :V This particular comic was a big pain to plan out, cause I wasn't quite sure how these two were gonna interact with Bruce under the table and Ash peeking in... I think I did alright with it.